At Faith UMC, we recognize the importance of connecting with others. 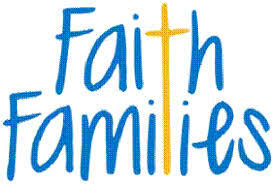 We have Faith Family events once a month, as well as Family at the Table Sundays. The First Sunday of every month, we hold a potluck in our Fellowship Hall between services. During this time, a short lesson is given as we join in Fellowship with one another. Check out our Facebook page for more details about our events or contact Christina VanDam at youth@grfaithumc.org.